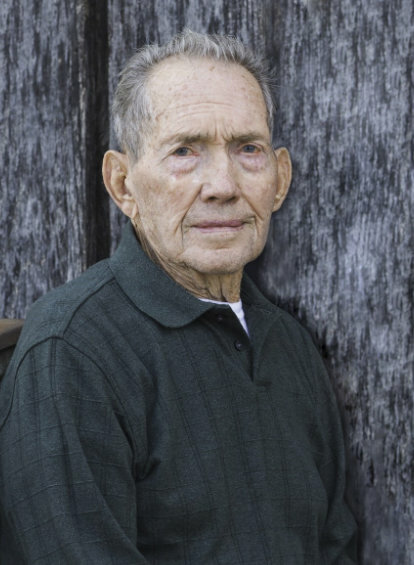 Funeral services for Charlie Emmett Durham, 88, West Plains, Missouri, will be held at 2:00 p.m., Wednesday, January 23, 2019 at Bakersfield Church of Christ, under the direction of Robertson-Drago Funeral Home. Mr. Durham passed away at 7:40 a.m., Sunday, January 20, 2019 at West Vue Nursing Center. He was born November 29, 1930, at Ott, Arkansas, to Braxton Durham and Lydia Tackitt Durham. Charlie graduated from High School at Cardwell, Missouri. On December 23, 1956, he was married at Viola, Arkansas, to Jecquita Cotter. Mr. Durham was a veteran, having served with the United States Air Force. He was a farmer, loved his family and enjoyed hunting, fishing and playing guitar. Mr. Durham was a member of Bakersfield Church of Christ. He is survived by his wife, Jecquita Durham, of the family home; four children, Linda Collins, West Plains, Dale Durham and wife, Sharon, Overland Park, Kansas, Teresa Durham, Allen, Texas and Melissa George and husband, Eric, Paola, Kansas; seven grandchildren, Rebecca, Lindsey, Kathryn, Hannah, Jedidiah, Riley and Dylan; one great-grandchild, Charlie Durham and another on the way; one brother, Willie Durham, Liberty, Missouri; and one sister, Geneva Peters, Kearney, Missouri. His parents, six brothers and five sisters, preceded him in death. Visitation will be held from 6:00 until 8:00 p.m., Tuesday, at Robertson-Drago Funeral Home. Burial will be in the Bakersfield Cemetery. Memorial contributions may be made to Paragould Children’s Home and may be left at Robertson-Drago Funeral Home. Jecquita and family, I am so sorry for your loss. Charlie was a good man and will be missed. Charlie was a very fine man. He was one of the nicest people I ever dealt with at the station and at John Deere. I’m so sorry for your loss. May God bless and comfort you. I am so sorry for your loss. Praying that God provides you and your family comfort duing this difficult time. Melissa, I am so sorry for your loss. I agree with you that he is in the hands of our Heavenly Father, and with no pain and suffering. Know that Greg and my thoughts are with you. Love you. I am so sorry for your loss. Uncle Charlie was one of my favorites. I loved visiting you all in the summers growing up. Waking up early to “help” milk the cows, watching all of you milk and work around the farm, and Aunt Jecquita’s AMAZING meals. “We do not weep as those who have no hope.” I love you all. Through you, your Dad lives on. For God so loved the world, that he gave his only begotten Son, that whosoever believeth in him should not perish, but have everlasting life. … For God loved the world in this way: He gave his one and only Son, so that everyone who believes in him will not perish but have eternal life. Can I get an OOOOOORAH! We are so sorry for your loss, and are holding you up in prayer to the Father. Jecquita and family, I rejoice with you in Charlie’s home going as well as share tears in knowing how much he will be missed. Charlie and Jecquita were always welcoming when I was visiting the area spending time reminiscing childhood memories in their home and on their property where many childhood memories were made. Where there is much pain there is much love. I will not forget you. Prayers and Blessing to all.